We asked you to tell us about your holiday experiences in Italy. Where to go for the best campsites for camping, glamping, mobile homes and caravaning. 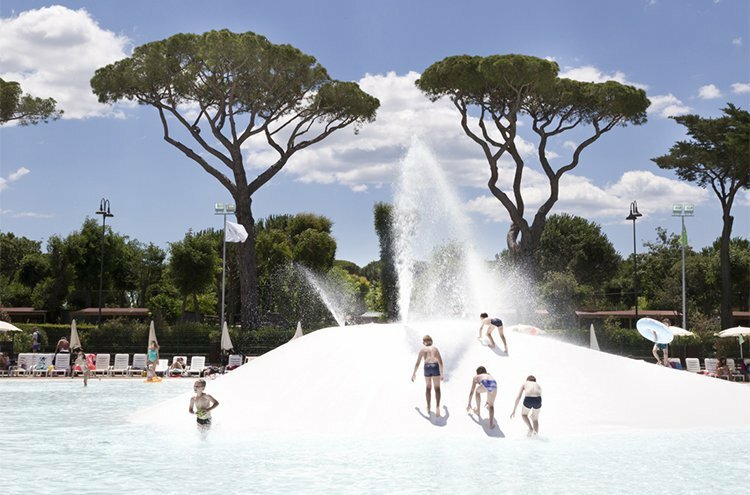 Check out these superb family campsites in Italy all recommended by parents and children for a holiday to remember. 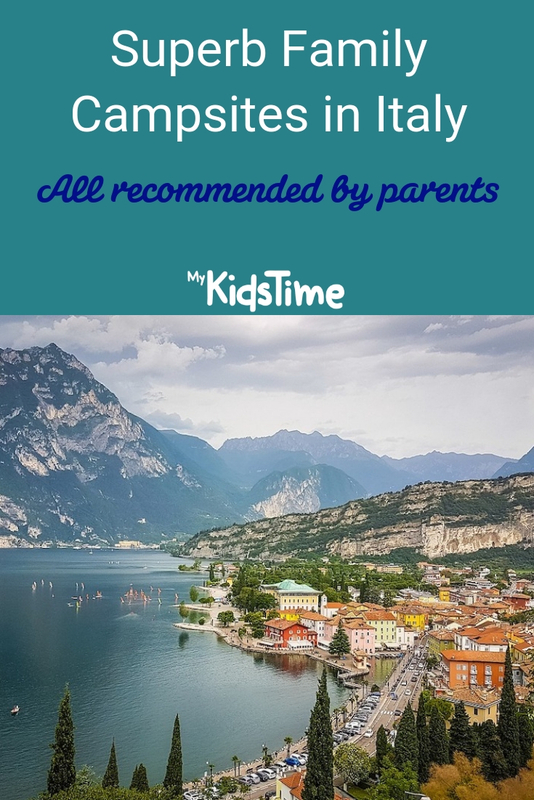 Many of you recommended the Bella Italia Campsite at Lake Garda saying it was fantastic for families with loads of activities to enjoy nearby. Ever thought you could camp in Rome? Well now you can says Mum Louise! Once you have pitched your tent at Camping Roma, you are only 15 minutes away from this amazing city! It has a bus stop right outside the entrance so it’s a perfect base to explore the eternal city while having all the familiar family camping facilities. They also offer a bus service to and from Fiumicino and Ciampino airports. Family friendly facilities include a beautiful pool; restaurant, grocery store and a bar with a sports screen. There is a variety of accommodation choices on offer including pitches for caravans, campervans and tents, mobile homes and bungalows. The 5 star Union Lido campsite offers camping, glamping, lodges and a hotel on-site all within striking distance of Venice. In addition there are two aqua parks an entertainment centre, shops, restaurants and a wellness centre to ensure everyone in the family catered for. Mum Elaine recommended this campsite and said they return year after year at the request of the children, who don’t want to go anywhere else! 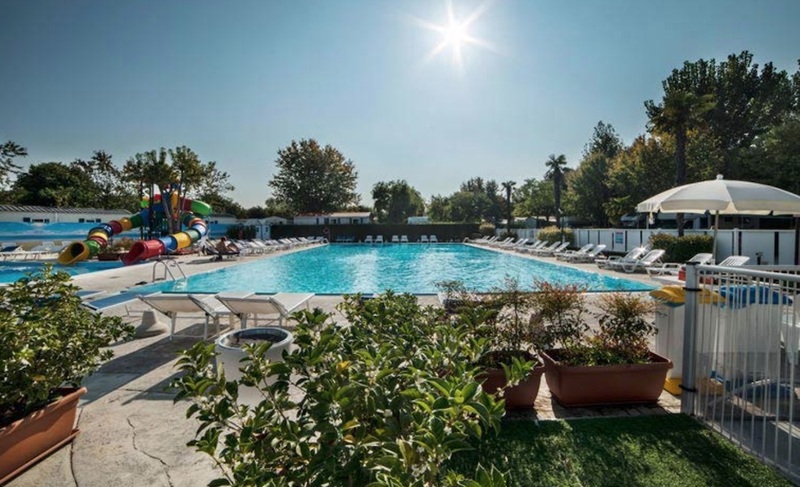 Mum Josie recommended Norcenni Girasole Club Campsite in Figline Valdarno in beautiful Tuscany. There are 3 pool complexes with waterslides and a lazy river. There is also an on-site spa, tennis & basketball courts, cinema, mini golf and an underground disco! 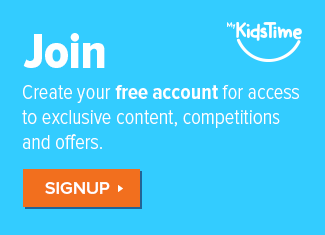 The park offers a kids club and has restaurants on-site. It is also close enough to enjoy trips to Florence, Siena and Pisa. 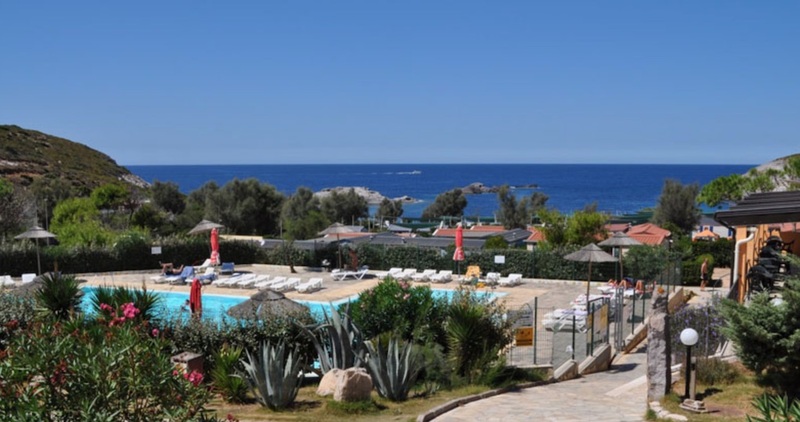 Carol recommended Park Albatros Village campsite which lies on the coast in Tuscany. It has 5 pools including an olympic sized one, kids sized one and 3 lagoons. 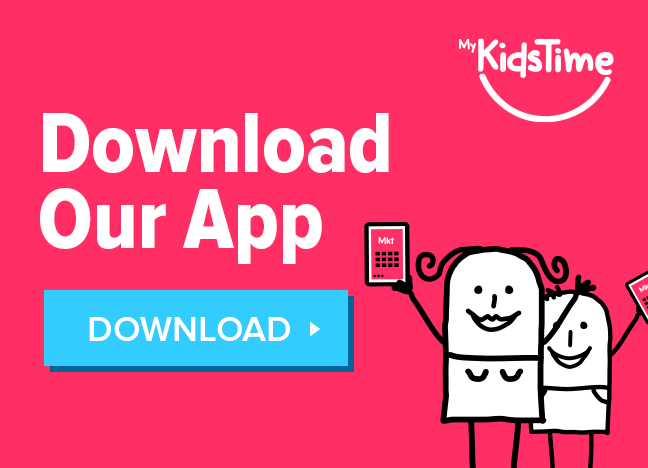 She did say it is best suited to younger children rather than those with teens. Parc Albatros Village is set in 30 acres, you can book a variety of different accommodation options including camping, safari tents and mobile homes. There is a free mini train service to take you around the park. On-site the kids can enjoy activities including kids discos, evening shows and daytime entertainment. Or you could take a trip to the sandy beach. There are a variety of restaurants including a pizzeria, traditional Italian restaurant, buffet, creperie, gelateria and a snack bar. 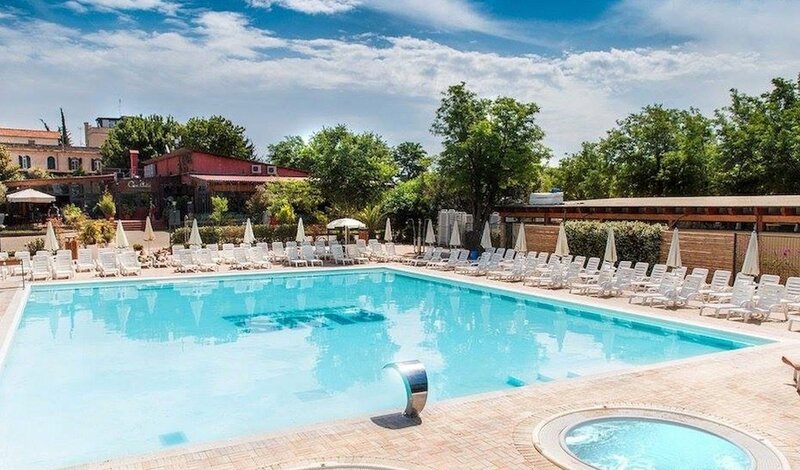 Dad Declan recommended the Spiaggia e Mare Holiday Park on the Adriatic coast of Italy for a great family campsite holiday. The park offers camping pitches, bungalows or large maxi caravans. And has a host of on-site activities including an entertainment program with shows and activities for all ages. It is set beside the beach and has a selection of swimming pools on-site including a fun water activity park for younger family members to enjoy. 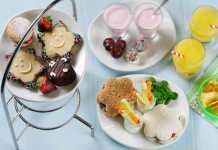 There are shops, and a family friendly restaurant serving Italian dishes and pizza which can be order to take away. You can also hire bikes to explore the Po Delta or enjoy the market town of Lidi Ferraresi. If you are someone who wants to try camping but doesn’t want to have the full camping experience, then the Canonici di San Marco is a beautiful family-friendly glamping lodge nine miles from Venice set up in African/Italian style. 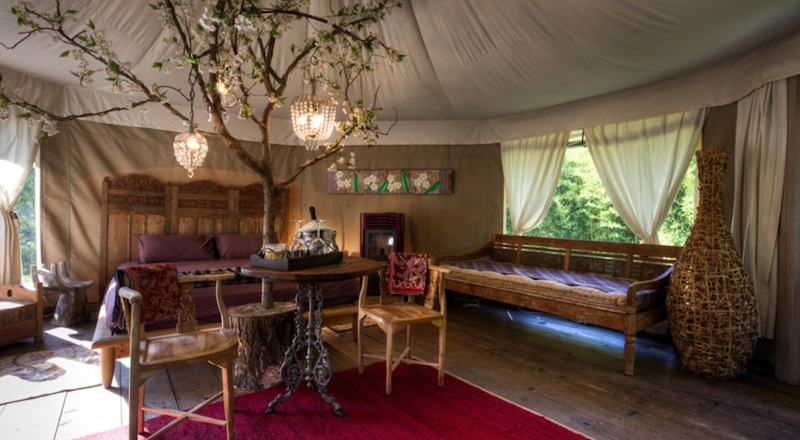 They offer luxury safari tents, decked out in an exuberant fashion – four poster beds, opulent decor, soft furnishings and vintage tubs are the order of the day. While you are unlikely to see any of the Big Five here, there’s plenty of space for wild children to roam. Amanda recommended Camping Tonnara in Sardinia who offer accommodation in Bungalows, Mobile Homes or Coco Sweet Glamping Pods and Bungalow tents along with regular pitches for tents and mobile homes with electrical sockets, shower blocks and clothes washing facilities. The site offers direct access to the beach where you can swim in the warm Sardinian sun or enjoy exploring rock-pools. On-site there is plenty to entertain with a freshwater swimming pool, playground, tennis and volleyball courts, football pitch, bowling green and table tennis. There is also a bar, restaurant, pizzeria and supermarket. Recommended by several parents Camping Ca’Savio near Venice offers a variety of accommodation including Airstream Trailers, mobile homes, bungalows, Coco Sweet tents for those who want to travel light and regular pitches for caravans, tents and campervans. You loved the long sandy beach easily accessed from the campsite. And many of you visited Venice by boat from the Punta Sabbioni on the Lagoon. On-site there are 2 large swimming pools, play areas, entertainment for all ages including a kids club and many organised sports for adults and kids. There is a great choice too when it comes to food and drink with an amazing supermarket with a bakery, a restaurant serving Italian and international food including Pizzas, a Snack Bar, Coffee bar, self service restaurant and a pub. Another family favourite on Lake Garda was Butterfly Camping Village. They offer accommodation in mobile homes, bungalows, apartments and have regular pitches for caravans, campervans and tents. 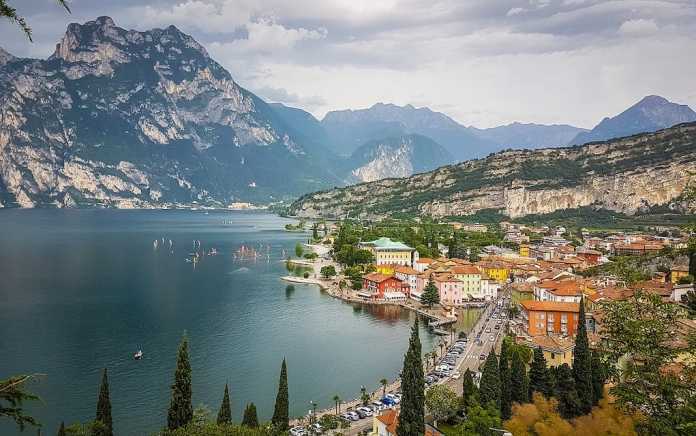 It is only a short walk into the historic town of Peschiera del Garda and you can easily access the shores of Lake Garda for swimming and water sports, while being surrounded by nature. The campsite has 2 swimming pools, one with slides and a play area for younger children, supervised kids club and daily and nightly entertainment for all ages. 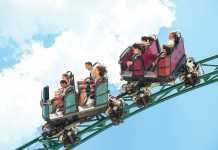 You are close to the famous Gardaland Theme Park and have other attractions all within easy reach. On-site there is the Butterfly Bistro which has both table service and take away options, there is also a mini-market for daily essentials and washing and laundry facilities available. Over to you now. Have you visited any of these family campsites in Italy? Or maybe you can add to the list? Please let us know in the comments box below. 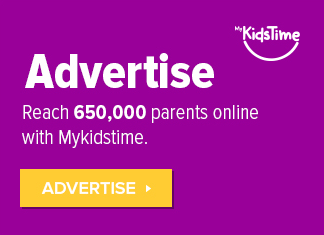 Previous articleKid Power In This Year’s Dunnes Christmas Ad – Ensuring Santa Can Find Everyone!